I had eaten and found Sophia’s food very tasty and delicious anytime. I had seen and read through the three cookbooks written by her and give my comments below. * The Asian Chinese Cookbook. The recipes are written in easy to follow steps even for the beginner and illustrated with colour photos. The methods are time-saving, preserve the nutritional value making the food tasty and also ensure good health. Chinese Cuisines Snacks and One-dish Meal. The cuisines are more of delicacies and highly favoured by the Chinese but also other races. These food are rich in nutrients and flavours. The snacks can be used for small as well as large gathering of guests and ensure fast and easy cooking. The food are also tasty and good for a light meal. The One-dish Meal enable a quick meal anytime by busy people. It can be cooked within fifteen to twenty minutes for an appetizing meal. The Oriental Cookbook. 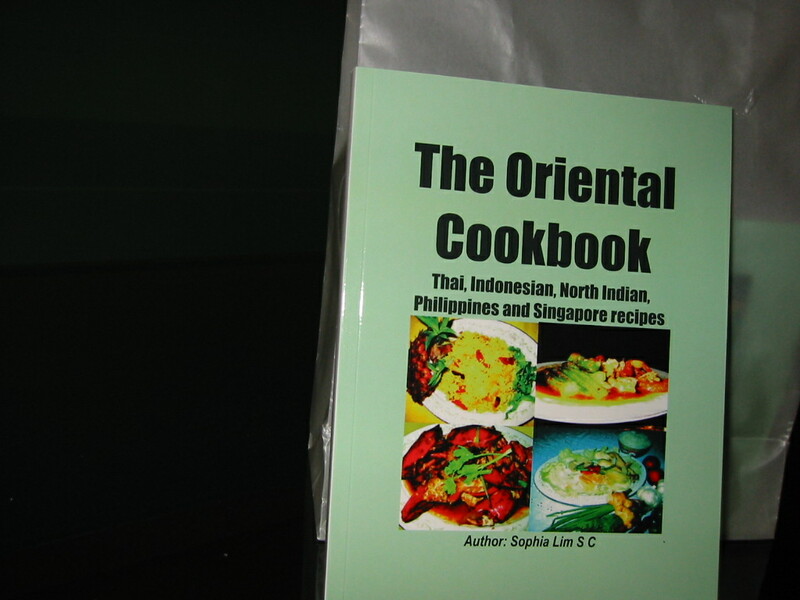 You will have a taste of Asian food in the methods and ingredients used in this book by Asian countries. The rich flavours are rich and spicy and will whet your appetite. I would recommend these cookbooks a good BUY to be placed on your book-shelf as a guide to your culinary skill and lifetime companion.